192 pages | 1 Color Illus. Although medieval English music has been relatively neglected in comparison with repertoire from France and Italy, there are few classical musicians today who have not listened to the thirteenth-century song ‘Sumer is icumen in’, or read of the achievements and fame of fifteenth-century composer John Dunstaple. Similarly, the identification of a distinctively English musical style (sometimes understood as the contenance angloise) has been made on numerous occasions by writers exploring the extent to which English ideas influenced polyphonic composition abroad. 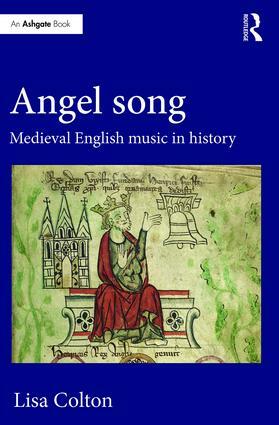 Angel song: Medieval English music in history examines the ways in which the standard narratives of English musical history have been crafted, from the Middle Ages to the present. Colton challenges the way in which the concept of a canon of English music has been built around a handful of pieces, composers and practices, each of which offers opportunities for a reappraisal of English musical and devotional cultures between 1250 and 1460. Chapter 2 Anglicus angelicus: Was English Music Political? Chapter 4 Who was John Dunstaple? Lisa Colton is a Senior Lecturer in Music at the University of Huddersfield, where she is also director of the Centre for the Study of Music, Gender and Identity. Her research interests focus on early and contemporary music from historical, critical and analytical perspectives. Lisa Colton’s publications have included articles on medieval motets, manuscript sources, Judith Weir and Lady Gaga. She has co-edited two essay collections: Gender, Age and Musical Creativity (with Catherine Haworth), and Sources of Identity: Makers, owners and users of music sources before 1600 (with Tim Shephard).